Climate change. What can you do? Climate change is a concern for everyone living on Earth today. However the most common question I hear whenever I do presentations for Biochar is. This question is usually a plea and it comes from many folks who simply believe that this is to big a subject to tackle and they resign to leave it to the experts. I hear hoplessness in thier voices I also hear the concern. However the authorities on such topics are all blasting out conflicting evidence based on peer review. Which make it nearly impossible for the layperson to decipher. So they are forced to live in fear and become disabled by it. What I say to folks from every walk of life when thay ask me “that” question is simple. Every little bit counts so do something if you wait till you research what to do then like all the scientists out there you will have lived your life without doing any action to help. 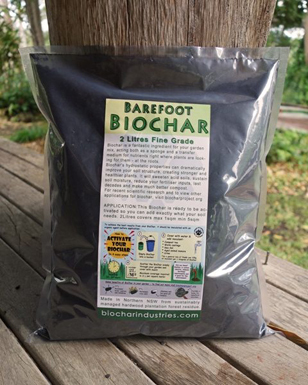 Biochar per kilogram is worth 2.5 kilograms of Greenhouse Gases Equivalents. if you make 1 kilogram of biochar and then condition it and put it in your garden you will be doing the following benefits to Earth. 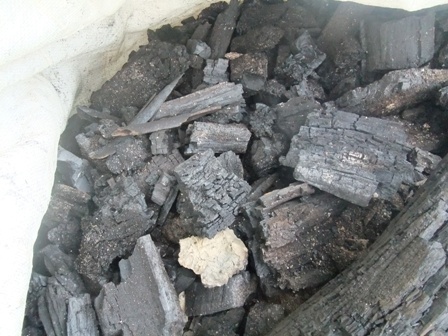 Have a look what Biochar Industries are doing to help you understand climate change. Most importantly you will have broken the fear based chains of Climate Change. I go on to say weather or not Climate change is a global swindle do not fall victum to the hoardes of zombies that are at the bottom of that pit fighting to be heard. Instead think of all the possitives of the actions you do. Service to Nature is service to god. So I say whatever you do to help clean up the environment is service to yourself. So forget about the people who do nothing but talk go fourth and help yourself. Most folks then ask me for simple things that they can do. I oblidge. 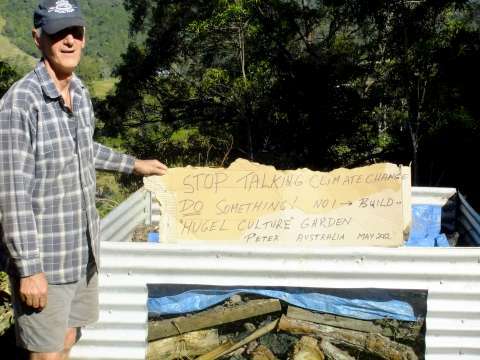 Here is one small project you can do that will help the climate change, Help you get into the doing groove, help you cleanup your garden and provide delicious home grown organic food for your family. 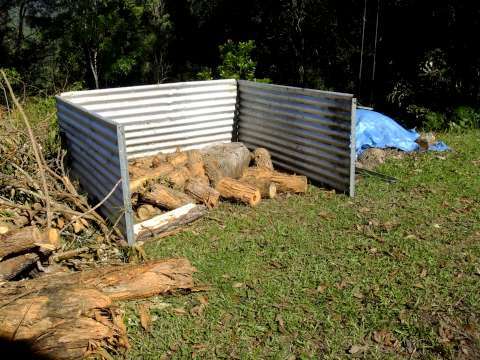 Climate Change Action Project Number 1 Carbon Culture raised garden beds. Here are the photos and below will be a description. Peter takes great pride in being the Inventor / creator and namesake of this awesome concept Carbon Culture. I went along to help Interview and offer tips. 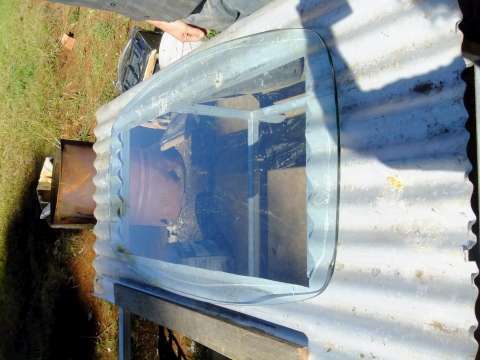 1 x old peice of glass optional. Some where to put it. Carbon Culture will be the name of your game. Firstly select the place you want it. Lay the roofing out in a square. Bang in the star pickets. Wire the roofing to the star pickets. 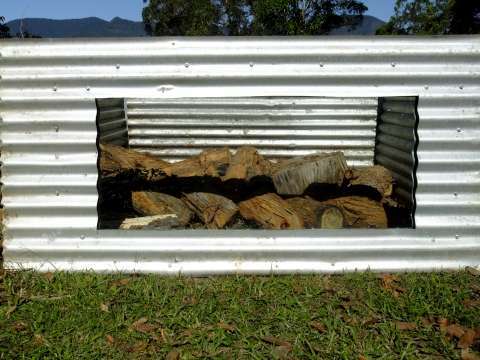 Then fill with all manner of wood until nearly at the top. 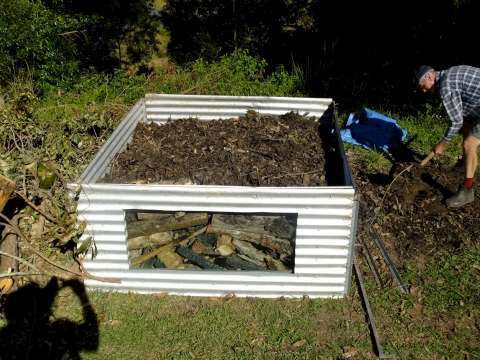 Then fill the top with soil / compost / carbon / biochar / worm castings / potting mix whatever you can get to make a good foundation for your new garden. Once you have filled it up and are happy with the results you may then plant whatever seeds you would like to eat in the comming 6 weeks or so. 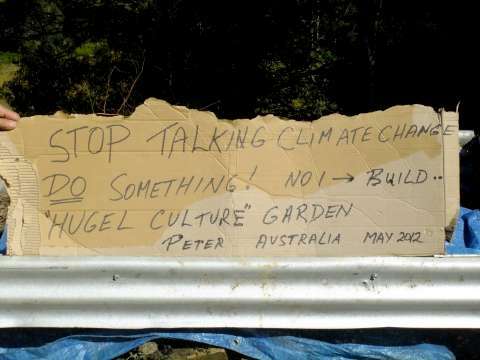 Perhaps you might want to be funky and create a permaculture landscape in your new carbon culture bed. Or artistic make it a japanese Bonsai garden or a zen garden or ???? one thing is for sure if you folks grab a small child and get them to help you you will be planting seeds of a very different kind. What you gonna do about climate change? 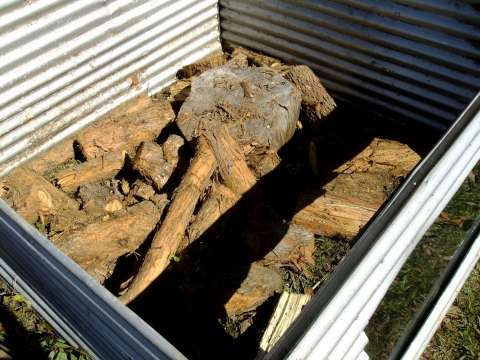 P.s with the window in the carbon culture bed Peter will be able to watch the wood break down and see how the fungi work to make the dead matter into live matter once again this is really recycleing. Flying Monkey Farms in Grass Valley, CA, USA would love to use the rich abundance of biomass in our area to produce good biochar. The Adam retort seems like a very likely choice for us. Is it possible to obtain good plans for your retort in AU? Thank you so much in advance for your time. PS Loved Perth when I was stationed there, best part, your people.